According to a survey conducted by Virtuoso among its affiliate travel agencies in Mexico, this year’s trends show premium travelers are enjoying traveling throughout the country—and Mexico’s Pacific Treasure is among their top-rated destinations. The Riviera Nayarit is among the top five tourism destinations in Mexico with the highest demand for the fall season from premium Mexican travelers, this according to a survey conducted by Virtuoso among its affiliate agencies in Mexico. The survey was published during the 29th edition of the Virtuoso Travel Week, which took place from August 12-18 in Las Vegas, Nevada. It’s considered the most important event in the tourism industry directed to the top luxury segment, which includes the most exclusive properties and services (hotels, cruise lines, airlines and tour operators) from around the world. 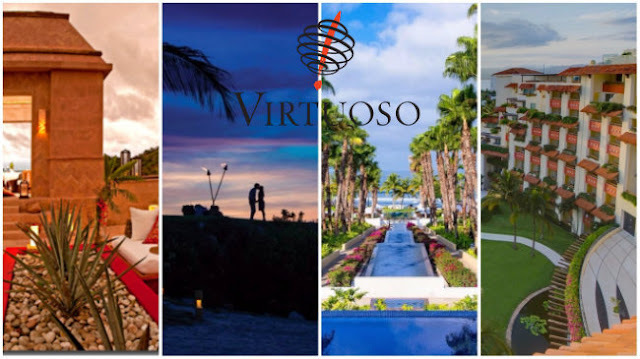 Virtuoso is an international travel agency specializing in luxury tourism. Membership in this organization is by invitation only and includes around 800 agencies, with over 15,200 travel advisors and nearly 1,700 associates in 45 countries around the globe. Its travel advisors use their global connections to plan the most memorable experiences possible for their clients, from a getaway weekend to dream vacations. According to the Virtuoso survey, 2017 registered a trend for the Premium Mexican traveler touring within the country, which acknowledges the availability of quality services and luxury hotels, plus the presence of the Magical Towns and the undeniable beauty of its natural attractions. It also indicates that both within the country and without, the top three trends for Mexican travelers are: luxury cruises and resorts, multi-gen travel and honeymoons. “The inclusion of the Rivera Nayarit among the preferences of Virtuoso indicates the luxury product we’re focusing on is achieving excellent results within the regional offerings,” said Marc Murphy, Managing Director of the Riviera Nayarit Convention and Visitors Bureau (CVB). The Riviera Nayarit CVB has positioned the luxury segment as one of the priority sectors for its promotions, as it helps bring in a larger number of tourists to the destination who come with a higher average expenditure and a focus on low-impact travel, which helps maintain the already established environmental protection policies. At the same time, it helps to generate a larger revenue stream for the people of Nayarit. In the Riviera Nayarit, The St. Regis Punta Mita Resort, Four Seasons Resort Punta Mita, Grand Velas Riviera Nayarit and Imanta Resorts Punta de Mita have all achieved the sought-after Virtuoso Preferred appellation, and their inclusion in this exclusive company has placed Mexico’s Pacific Treasure as one of the most sophisticated destinations on an international level.